Record codes (numerical series) in Leads, Business Deals, Quotes, Projects and Documents can only be modified by a user with an Administrator role. 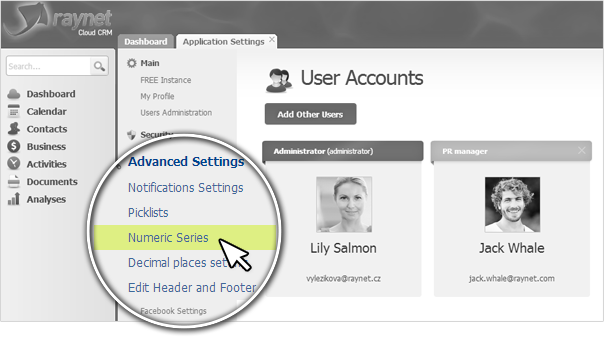 If you are a CRM Administrator, click on Settings. 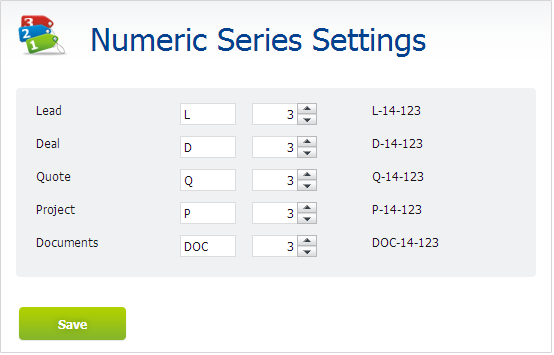 Select the Numerical series option. Edit the prefix and the quantity of numbers that appear at the end of a code and save the changes.